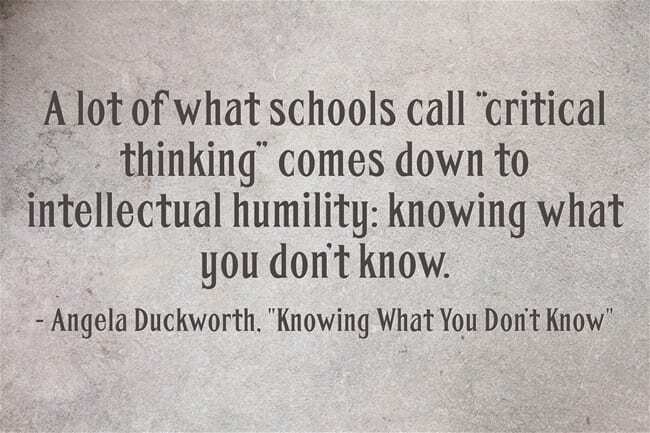 How Would You Teach A Lesson On Intellectual Humility? Intellectual humility: the importance of knowing you might be wrong is from Vox. Knowing What You Don’t Know is from Angela Duckworth. This topic has long been an interest of mine – see The Best Resources On The Importance Of Knowing What You Don’t Know. Even though this kind of skepticism is at the essence of IB Theory Of Knowledge classes, I don’t think I’ve ever done an explicit lesson on it.